Elizabeth H. Simmons is a highly-distinguished physicist and advocate for diversity in science. Elizabeth H. Simmons has been appointed executive vice chancellor for Academic Affairs at the University of California San Diego effective September 18, 2017. Her selection follows an extensive international search. Simmons is a highly distinguished physicist who focuses on particle theory and is a Fellow of the American Physical Society and the American Association for the Advancement of Science. She currently holds two leadership roles at Michigan State University, a public research university with a student population of more than 50,000. Since 2016, Simmons has served as the associate provost for Faculty and Academic Staff Development at Michigan State University, leading the Academic Advancement Network, which is charged with helping all 5,500 academic employees grow as teachers, scholars and leaders across the arc of their careers. She has also held the position of dean of Lyman Briggs College – a residential college that focuses on the study of science in historical, philosophical and sociological context – since 2007. As dean, Simmons has been responsible for academic matters including student recruitment, academic advising and retention; curriculum development and assessment; research profile and impact; faculty hiring, promotion and tenure; and managing operational matters such as facilities, finance and fundraising. During 2014-15, in addition to her role in Lyman Briggs College, she served as acting dean of the College of Arts & Letters, one of the three core colleges of the university. 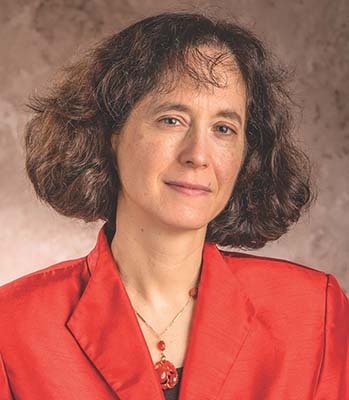 She has been a member of the Michigan State University Department of Physics and Astronomy within the College of Natural Science since 2003 and has held the rank of University Distinguished Professor since 2013. Prior to her work at Michigan State University, Simmons held leadership positions at Boston University, which is where she began her career as an assistant professor in 1993. She was the director of the Boston University Learning Resource Network for Pre-College Outreach as well as the associate chair for Undergraduate Studies in the Department of Physics. Simmons earned her bachelor’s degree, master’s degree and Ph.D. in physics from Harvard University. She received her M. Phil degree in physics from the University of Cambridge where she was a Churchill Scholar. She is also an advocate for building diversity in Science, Technology, Engineering and Mathematics (STEM) and has served as a consultant on the subject for the American Physical Society, Fermi National Accelerator Laboratory, U.S. Department of Energy and Jefferson National Laboratory. In her role as executive vice chancellor, Simmons will serve as UC San Diego’s chief academic officer, responsible for oversight of academic programs, the recruitment and advancement of faculty, and for driving academic, student support and student outcome initiatives. The seven general campus divisions and schools, the Graduate Division and Undergraduate Affairs, six undergraduate Colleges, the University Library and University Extension will also fall within her purview.